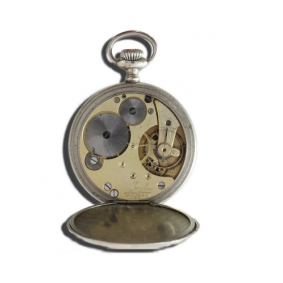 Junghans Pocket watch, movement J26 - Helicopters, pocket watches, helicopter flight simulation and more. No catalog entry found yet. 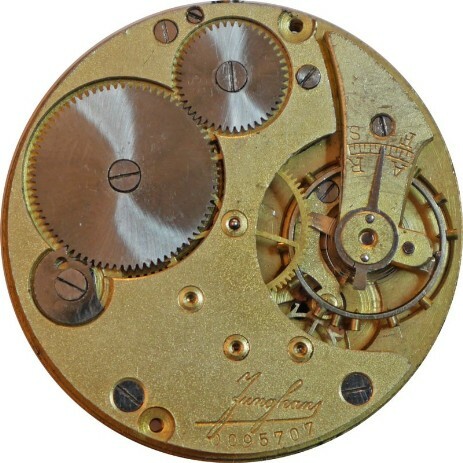 The J26 is the base for the J30, J31 and J32 movement. 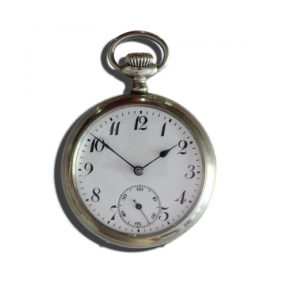 The new Junghans pocket watch. 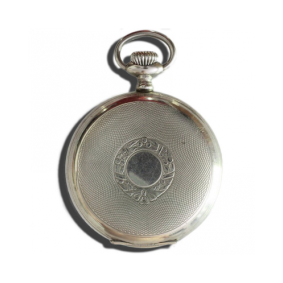 To meet the demand for a cheap and reliable pocket watch the Gebr. 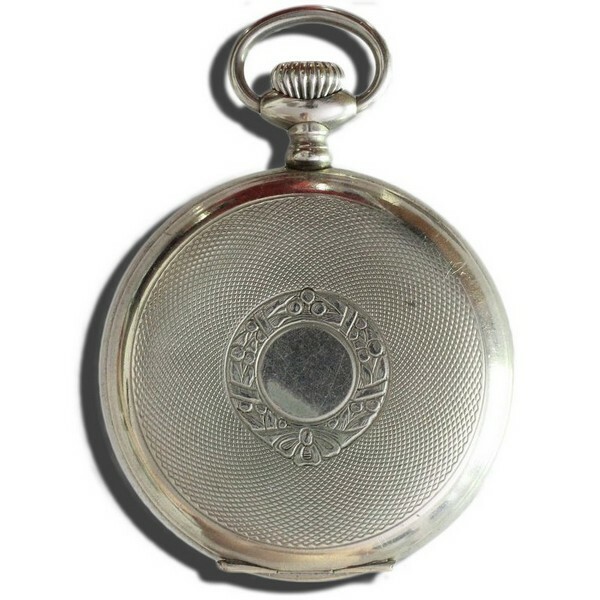 Junghans A.-G. company in Schramberg created a new model of a pocket watch, from which one of the first is present now. 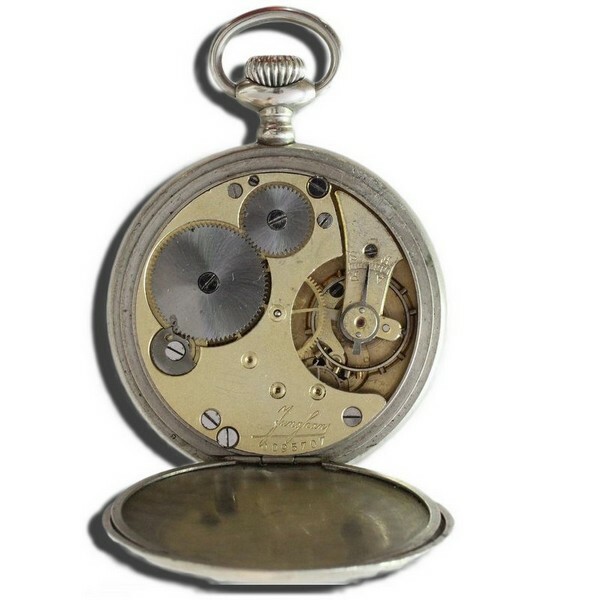 We had, like many colleagues who participated the Black Forest travel, the opportunity to look at the items of the new pocket watch during fabrication. It is a solid and strong-built movement with seven stones, i.e. thus, only the balance has jewels. Anchor pallets and lift pin are also have jewels. 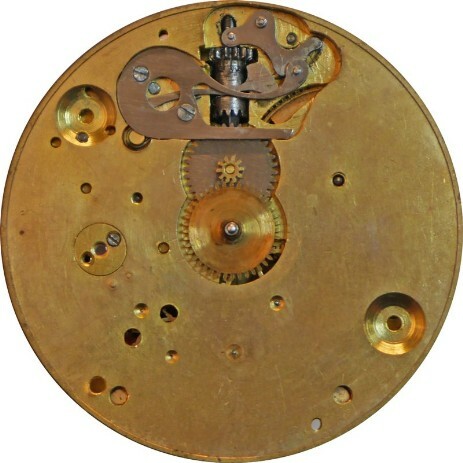 The Breguet spring is made from compensating metal. Setting the hands is done by pulling out the crown. The cannon-pinion sits on the full minute drive. 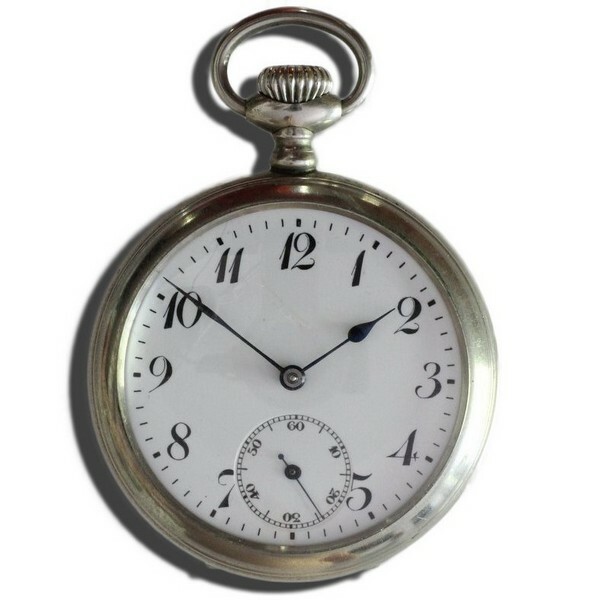 The watch is fitted with enamel dial. The housing have dust covers and parts excluding the glass edge, hinges. The prices of BLS for glossy white metal housing and BUS for white metal housing with "gallonierten" edges and bow for the new watch should be a good selling items for Junghans. One can only congratulate the company on the new product. Die neue Junghans-Taschenuhr. Um der Nachfrage nach einer billigen und dabei zuverlässigen Taschenuhr zu entsprechen, hat die Firma Gebr. Junghans A.-G. in Schramberg ein neues Modell einer Taschenuhr geschaffen, von der uns eine der ersten jetzt vorliegt. 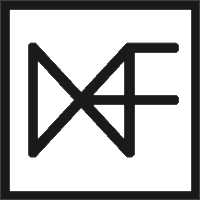 Wir hatten schon, ebenso wie viele Kollegen, die die Schwarzwaldreise mitmachten, Gelegenheit, uns während der Fabrikation die Einzelteile dieser neuen Uhr anzusehen. Es handelt sich um ein solid und kräftig gebautes Werk mit sieben Steinen, d. h. also, nur die Unruh hat Steinlager. Ankerpaletten und Hebestift sind ebenfalls aus Stein. 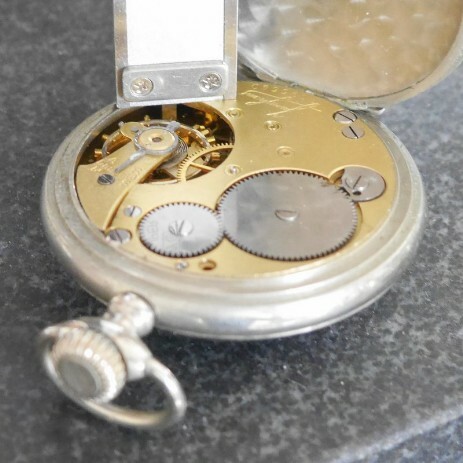 Die Breguet-Spirale ist aus Kompensationsmetall. Die Zeigerstellung erfolgt durch Herausziehen der Krone. Das Viertelrohr sitzt auf dem vollen Minutentrieb. Die Uhr ist mit Emailblatt versehen. Die Gehäuse haben Staubdeckel und mt Ausnahme des Glasrandes, Scharniere. Bei den Preisen von BLS in glattem Weißmetallgehäuse und BUS in Weißmetallgeäuse mit gallonierten Rändern und Bügel dürfte die neue Junghans Uhr ein guter Verkaufsartikel werden. Man kann der Firma zu dem neuen Erzeugnis nur gratulieren. Here are some hints how to separate some Junghans movements from themselfs. Is it a J26 or a J31/J32? 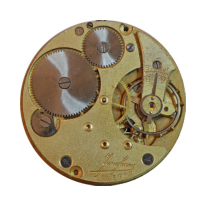 As you can find J26, J31 and J32 movements without markings and as they look the same, there is this little hint, which can help you to determine if you have a J26 in hand or a J31/J32, without taking the watch apart. Use a caliper and messuare carefully the distance between the top of the top plate and the top of the bottom plate. If more than 4 mm it is a J26. 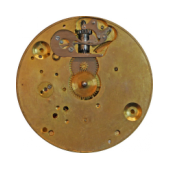 Another feature which distinguishes the J26 from a J31 and a J31 from a J32 are the amount of screws on the balance wheel. J26 14 screws, J31 8 screws and the J32 has 16 screws.